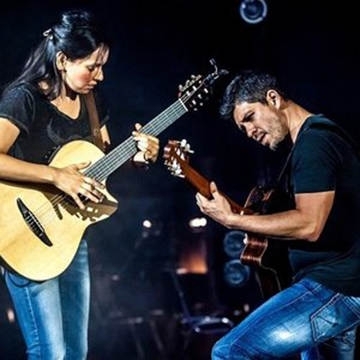 Through relentless touring and terrific word-of-mouth support, Rodrigo y Gabriela have established themselves as a hugely in-demand live act, particularly in America, where they sold out the Hollywood Bowl (two nights) and the Red Rocks Amphitheatre as recently as summer 2018. They have also sold out multiple nights at the Royal Albert Hall in London, Le Zenith in Paris and Radio City Music Hall in New York. With career album sales well in excess of 1.5 million worldwide, Rodrigo y Gabriela have established themselves as globally successful artists who are eager to write new chapters in their already illustrious story.